Our workforce is made of strong women making a difference. On March 7, we hosted the Women Empowered Happy Hour, featuring five successful Dallas women who joined us to share their professional experiences. We’re always on the lookout for new female role models across all industries to inspire us with their stories, style journeys, and advice on how to achieve our goals. 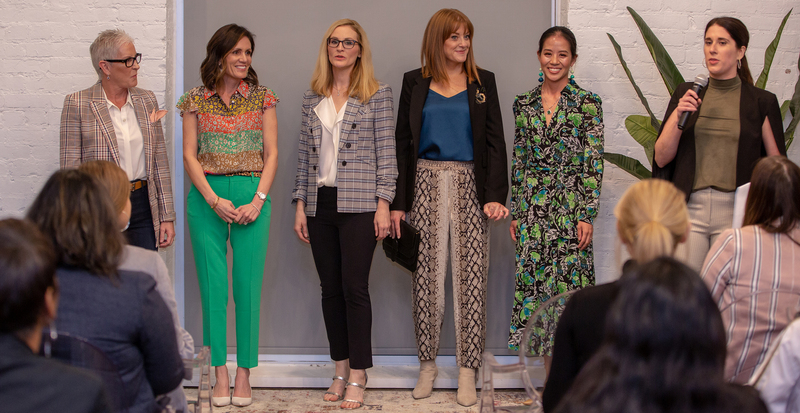 But we can’t keep the secrets to success all to ourselves, so we asked each of these strong, stylish women to share some of their insights on business and fashion. Olivia Cole, co-founder and COO of GoDo Discovery Co.: Absolutely. But I believe it’s more about dressing for confidence. You can do anything with confidence. We love a good power outfit. Do you have one, or a specific piece that gives you confidence? Denise Costello, chief commercial officer of SGK Inc.: A well-tailored black suit can go anywhere, anytime. But always with a colorful pocket square. Tina Luna, partner at PricewaterhouseCoopers LLP: Be persistent and don’t be afraid to ask for what you want. You deserve a seat at the table, and you’ve worked hard to get to where you are. Shannon Prager, president and founder of Leadit Marketing: She believed she could, so she did. What do you want your professional style to say about you? Lauren Schmidt, owner of Freesia: That I’m a savvy go-getter who knows what she wants, and gets it. 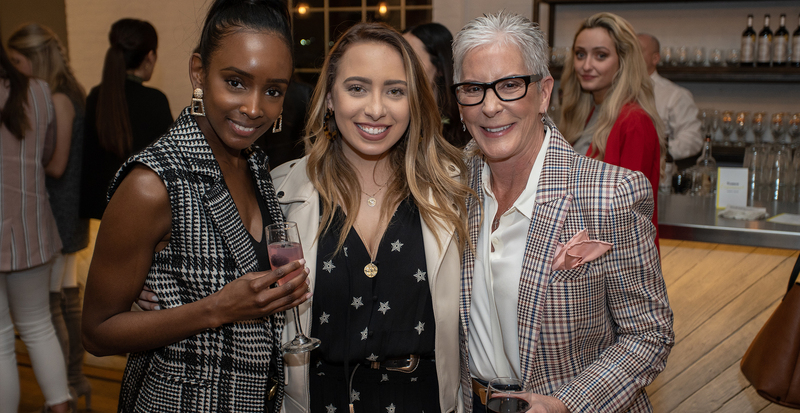 While our guests mingled with these powerhouse women, they were also able to partake in activities around the Dallas Clubhouse designed to boost their confidence and careers. A photographer was there taking professional headshots, along with makeup touch-ups for a quick refresh beforehand. (Because nothing puts a pep in our step quite like a fresh face.) Signature drinks named “Fierce Female” and “Empower” were also on the menu so that the women in attendance could toast to their career goals. Everyone had a blast inspiring each other, meeting new friends, and taking in all the Clubhouse had to offer.